Ice losses from Antarctica have tripled since 2012, increasing global sea levels by 0.12 inch (3 millimeters) in that timeframe alone, according to a major new international climate assessment funded by NASA and the European Space Agency (ESA). 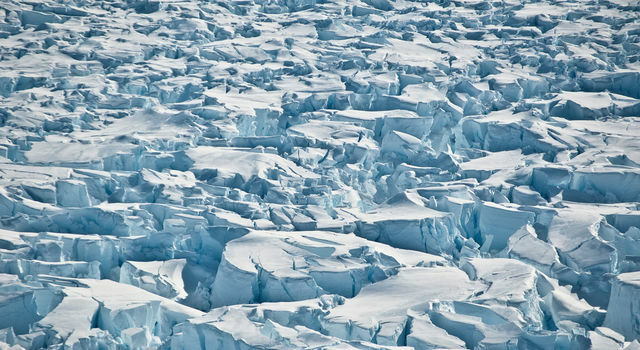 "This is the most robust study of the ice mass balance of Antarctica to date," said assessment team co-lead Erik Ivins at NASA's Jet Propulsion Laboratory in Pasadena, California. 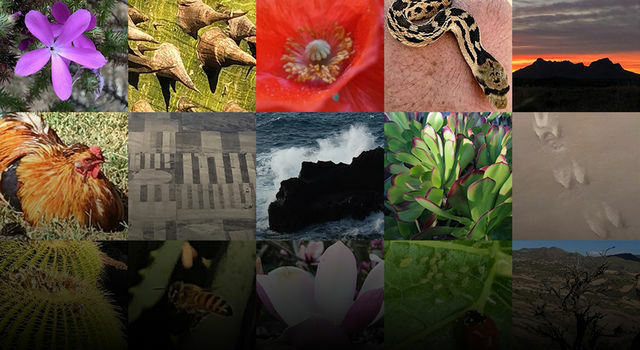 "It covers a longer period than our 2012 IMBIE study, has a larger pool of participants and incorporates refinements in our observing capability and an improved ability to assess uncertainties." 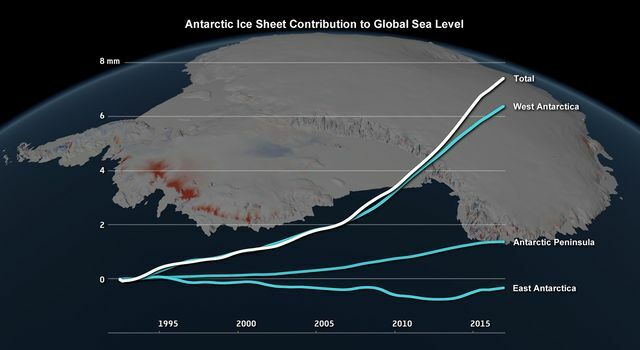 The team looked at the mass balance of the Antarctic ice sheet from 1992 to 2017 and found ice losses from Antarctica raised global sea levels by 0.3 inches (7.6 millimeters), with a sharp uptick in ice loss in recent years. They attribute the threefold increase in ice loss from the continent since 2012 to a combination of increased rates of ice melt in West Antarctica and the Antarctic Peninsula, and reduced growth of the East Antarctic ice sheet. Prior to 2012, ice was lost at a steady rate of about 83.8 billion tons (76 billion metric tons) per year, contributing about 0.008 inches (0.2 millimeters) a year to sea level rise. Since 2012, the amount of ice loss per year has tripled to 241.4 billion tons (219 billion metric tonnes) -- equivalent to about 0.02 inches per year (0.6 millimeters) of sea level rise. West Antarctica experienced the greatest recent change, with ice loss rising from 58.4 billion tons (53 billion metric tons) per year in the 1990s, to 175.3 billion tons (159 billion metric tons) a year since 2012. Most of this loss came from the huge Pine Island and Thwaites Glaciers, which are retreating rapidly due to ocean-induced melting. Antarctica's potential contribution to global sea level rise from its land-held ice is almost 7.5 times greater than all other sources of land-held ice in the world combined. The continent stores enough frozen water to raise global sea levels by 190 feet (58 meters), if it were to melt entirely. Knowing how much ice it's losing is key to understanding the impacts of climate change now and its pace in the future. 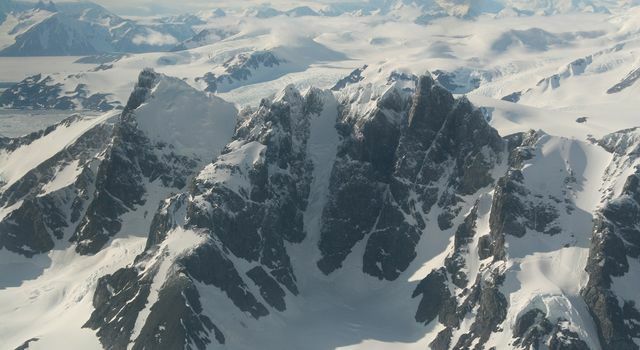 "The datasets from IMBIE are extremely valuable for the ice sheet modeling community," said study co-author Sophie Nowicki of NASA's Goddard Space Flight Center in Greenbelt, Maryland. "They allow us to test whether our models can reproduce present-day change and give us more confidence in our projections of future ice loss." 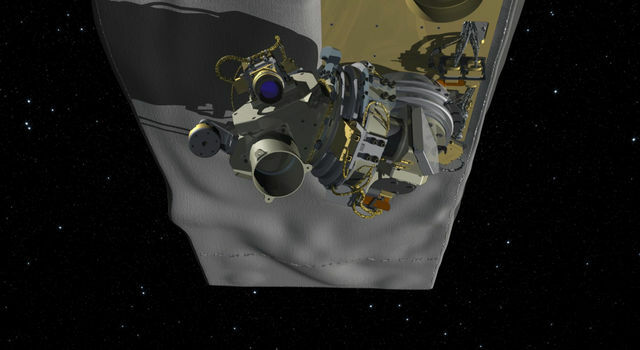 The satellite missions providing data for this study are NASA's Ice, Cloud and land Elevation Satellite (ICESat); the joint NASA/German Aerospace Center Gravity Recovery and Climate Experiment (GRACE); ESA's first and second European Remote Sensing satellites, Envisat and CryoSat-2; the European Union's Sentinel-1 and Sentinel-2 missions; the Japan Aerospace Exploration Agency's Advanced Land Observatory System; the Canadian Space Agency's RADARSAT-1 and RADARSAT-2 satellites; the Italian Space Agency's COSMO-SkyMed satellites; and the German Aerospace Center's TerraSAR-X satellite. 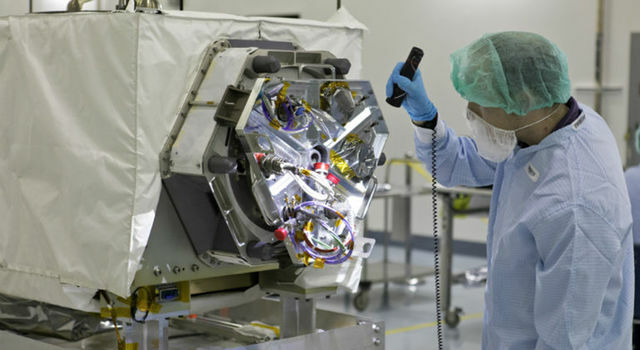 Tom Wagner, cryosphere program manager at NASA Headquarters in Washington, hopes to welcome a new era of Antarctic science with the May 2018 launch of the Gravity Recovery and Climate Experiment Follow-on (GRACE-FO) mission and the upcoming launch of NASA's Ice, Cloud and land Elevation Satellite-2 (ICESat-2). 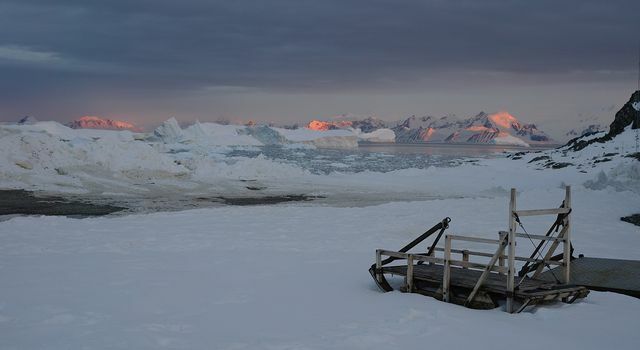 "Data from these missions will help scientists connect the environmental drivers of change with the mechanisms of ice loss to improve our projections of sea level rise in the coming decades," Wagner said.